If you want to dig a little deeper into the fine arts world of Seville, there are countless places for you to visit and discover the city. Here are some that you can’t miss! 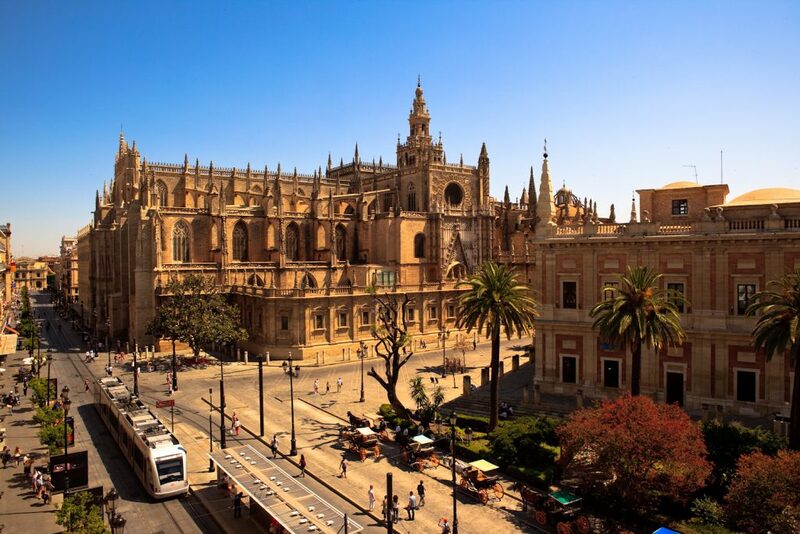 The city and province of Seville have a population of 1,938,974 inhabitants, of whom 702,355 live in the capital. This makes it the fourth largest city in Spain and the leading city in Andalusia, of which it is also the capital. There is a Roman Seville, as well as others, a Muslim, Jewish and a Christian Seville. In them can be seen all of the different artistic periods of the Western world: we find a Gothic, Renaissance, Baroque and Neoclassical Seville, combined with local styles, such as Regionalism, and other universal styles, embracing the avant-garde in a sustained dialectic between tradition and modernity. Meanwhile, the popular bustle continues in the city districts, living harmoniously side-by-side with advanced professional and commercial activities. All Seville is a monument. It has always been so. The vestiges of the cultures and the people who have lived here remain. Men pass on, one century follows another and Seville changes without changing. The relics and reminders of the past live in every street, around every corner. Columns in Calle Mármoles surprise as they rise out of the Roman ground. Stretches of the Muslim city walls, so often reconstructed, are still to be seen next to the Macarena Gate and Basilica. The Tower of Gold, on the banks of the Guadalquivir, which the Romans called Betis, was the southernmost point of the walls that surrounded the city. In the Real Alcazar, Islamic art became so refined and subtle that it bewildered the rough Christians of the Reconquest. And the Giralda is both Islamic and Christian, and even Roman in its foundations; slender and vigilant, rising over the Patio de los Naranjos, the entrance to what was once the Great Mosque of Seville, upon which the great Gothic Cathedral was built, the third largest church in Christendom. 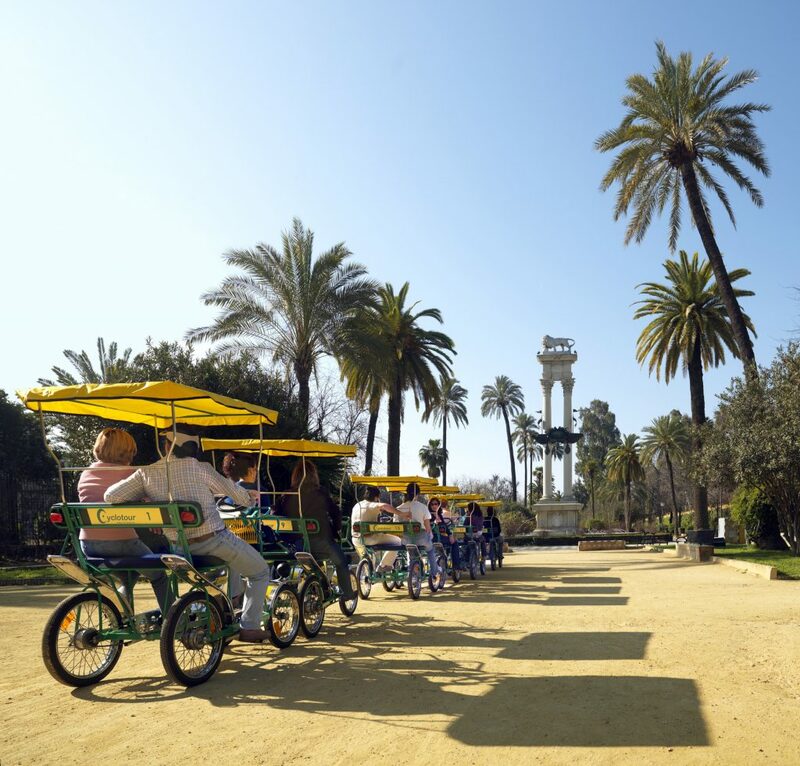 Given its location in the south of the European continent, Seville enjoys a continental Mediterranean climate, with hot dry summers and mild winters. With an average temperature of 18.6º C and 2,898 hours of annual sunshine, the area has excellent climatic conditions throughout most of the year, with January being the coldest month and July the hottest. The annual average rainfall is moderate, with 534 mm of rain in 52 days. Most of the rain falls between October and April, with the wettest month being December. 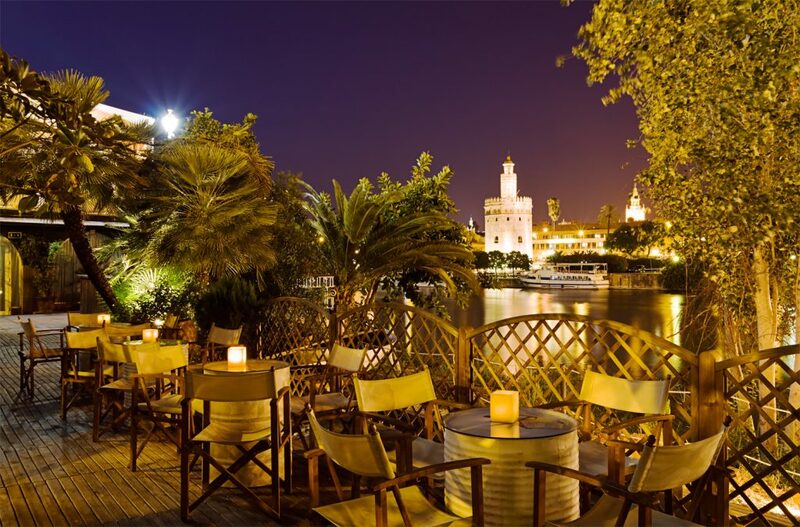 Pleasant temperatures and its colorful beauty make Seville a great place to visit at any time of the year, day or night. 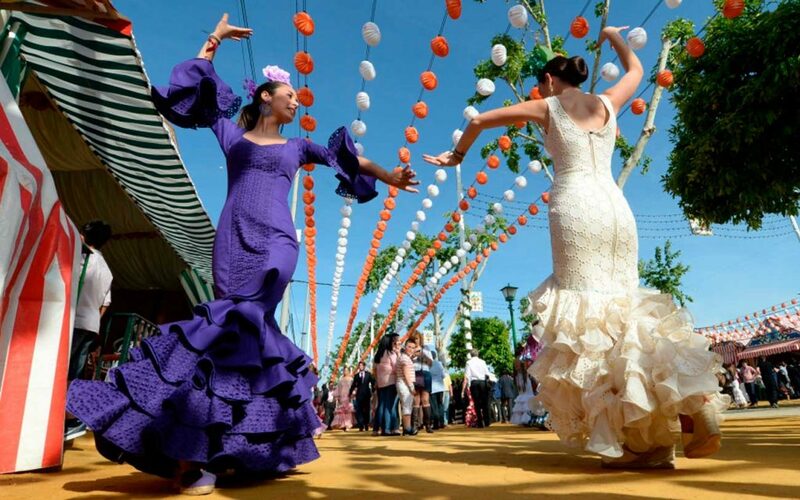 Seville’s main festivals, Holy Week and April Fair, take place in spring when the city is alive with light and joy, and a melange of scents and sounds continuously delight the senses. The flowering of the orange trees, abundant throughout the city, is a memorable moment. The scent of orange blossoms can be found wafting throughout the historic centre. The visit to Seville becomes a magical experience that the visitor will hope to repeat when this event coincides with Holy Week and the scent of flower and incense mingle. Warm clothes are not usually required from April to October. However, we strongly recommend the use of natural made light clothes during the hot summer months -June, July and August-, as well as sunglasses, as protection against the intense sunlight, and a hat. Many streets and squares in the city centre are covered with awnings, called “velas”, which temper the sunlight and make your visit more enjoyable. In short, climate is a major reason for choosing Seville to hold events.